A stock rocket called Charon Lander (9K). Built with 127 of the finest parts, its root part is cupola. It has about 2900m/s dV. 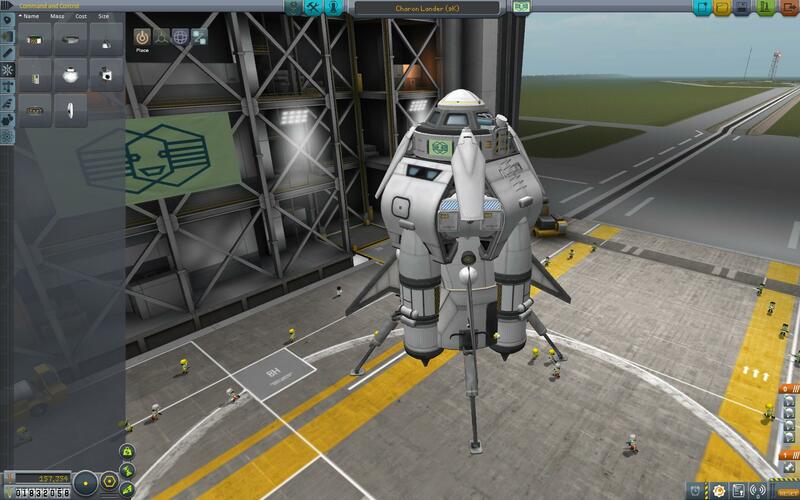 Built in the VAB in KSP version 1.0.5.